The wood warbler family (Parulidae) was once, and occasionally still is, split into two subfamilies. The "wood warblers proper" (Parulinae) includes about 26 genera and 116 species, and are most numerous in North America. The "ba-nanaquits" (Coerebinae) has one species, which is common in the Caribbean. Many classifications, including the one currently in use by the American Ornithologists' Union (AOU), now place that species in its own family, the Coerebidae. 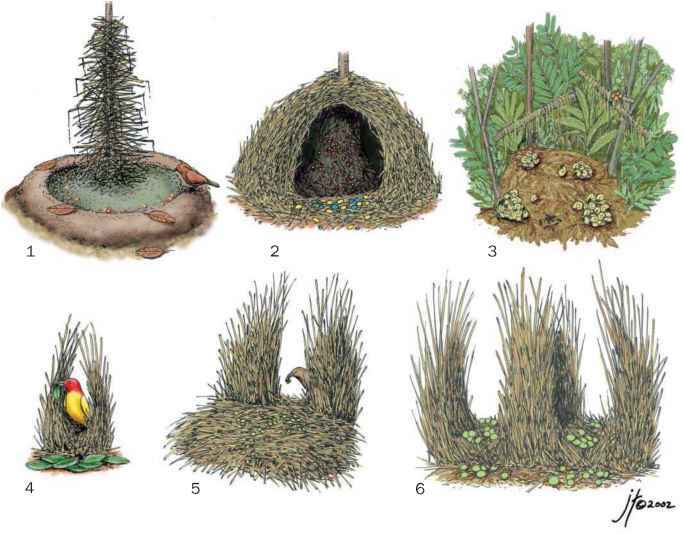 In addition, some classifications also place the nine species of conebills (Conirostrum spp.) in the Parulidae, which would change the family totals to 27 genera and 125 species. Various additional changes have occurred over the years, and several will be addressed below. Lawrence's, on the other hand, resembles the golden-wing, but with a yellow rather than white underside. For years, taxonomists were left scratching their heads. The first to consider the possibility that blue- and golden-wings were the same species, and were producing hybrid offspring, was probably John James Audubon, who apparently examined one of the earliest collected specimens of a Brew-ster's warbler. Through his astute observational skills, he noted the similarities to the blue-winged and golden-winged warblers, and asserted in a letter dated 1835 that the three were likely the same species. 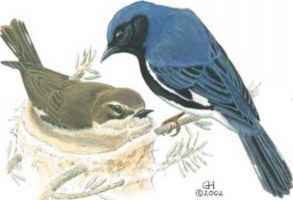 His later writings made no reference to this contention, however, and the puzzle continued for several decades until the early 1900s when birder Walter Faxon found a mating pair made up of a female blue-winged and male golden-winged, and discovered the progeny all to be Brewster's warblers. Lawrence's warblers were later similarly discovered to be hybrids. Although the findings settled the classification of Lawrence's and Brewster's, the status of the blue-winged and golden-winged warblers was much less certain. Currently, taxonomists regard them as two separate species, as they do with some other occasional interbreeders, like the hermit (Dendroica occidentalis) and Townsend's warblers (D. townsendi). On the other hand, taxonomists have determined that two formerly separate species, known as the myrtle and Audubon's warblers, are actually one species with two plumage patterns. The birds, which still retain their common names (Audubon's warbler in western North America and myrtle warbler in the East), are now both listed as the yellow-rumped warbler (D. coronata). The phylogenetic relationship of Parulidae to other bird families is also less than clear-cut. Some taxonomists have placed them closest to the tanager family, Thraupidae (sometimes treated as a subfamily, Thraupinae, of Emberizidae), while others feel they are nearest to the New World finches family, Emberizidae. In some classifications, the wood warblers are actually listed as a subfamily, Parulinae, within Emberizidae. Without a substantial fossil trail to follow, taxonomists in the past relied mainly on anatomical, morphological, and behavioral characteristics to deduce the family's evolutionary history. DNA-comparison technology, however, has now allowed scientists to obtain a different view of phylogenies. One group compared the genetic code of different birds, and determined that the wood warblers are genetically so similar to other groups of birds, including the blackbirds, buntings, cardinals, and tangers that they together should make up just one of three subfamilies within the family Fringillidae. While the work is intriguing, most birders, including the AOU, still use the more traditional arrangement with the wood warblers in their own family, the Parulidae. 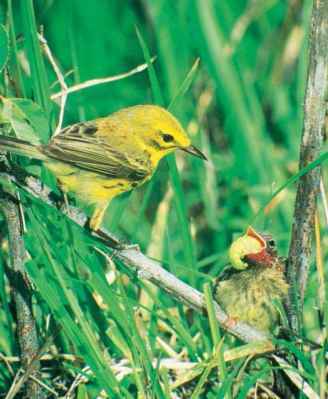 The AOU has, however, determined that one of the warblers is different enough from the other wood warblers to justify its own family. That bird is the olive warbler (Peucedramus taeniatus), which may reside alone in the Peucedramidae family. 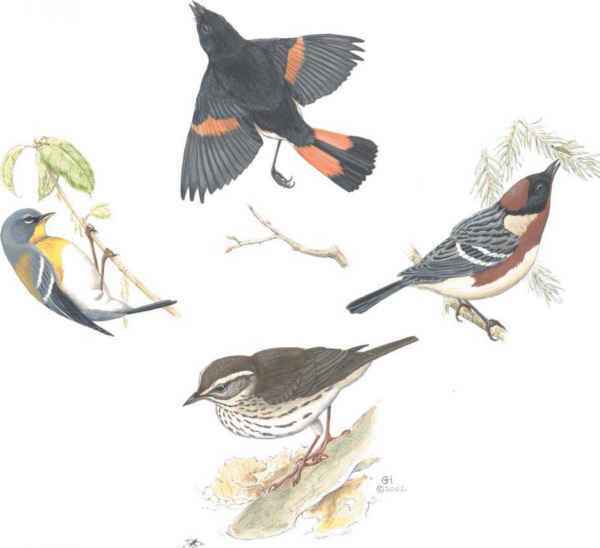 Pleistocene, much later than the other families within the Passeriformes order, including the Old World warblers. The research team suggested that changing environmental conditions in the late Pliocene opened new habitats to the ancestral wood warblers, and speciation followed. Another study conducted by a separate research group also used analyses of mitochondrial DNA to take a closer look at wood warbler phylogeny. In this study, the scientists investigated the Dendroica genus, which includes more than two dozen wood warbler species, and concluded that the Dendroica speciation dated back as far as the late Miocene or early Pliocene, making the extant species the current end-points of ancient lineages. Although DNA studies may ultimately produce a definitive phylogeny for the wood warblers, much work remains as scientists examine additional species, struggle to sift through the mounting, and sometimes conflicting, genetic data, and determine how to apply the new knowledge appropriately.